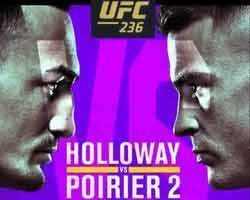 Review: 2013-09-21, close fight thanks to a great performance and some good single shots by both Jon Jones and Gustafsson but without ground game it is very difficult to give more than three stars. However the fight won UFC Fight of the Night honors and it is really possible to see a rematch since Jones and Gustafsson proved they are the two best light heavyweight fighters in the world! Jon ‘Bones’ Jones (18-1-0, 83% finishing rate) entered as the No.1 light heavyweight in the world while Alexander Gustafsson (15-1-0, 80% finishing rate) entered as the No.6. 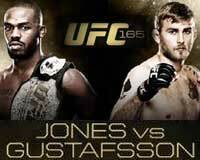 Jon Jones vs Gustafsson, main event of UFC 165, is valid for the UFC light heavyweight title (Jones’ sixth defense); they also faced each other a second time on December 29, 2018 (Jon Jones vs Alexander Gustafsson 2). Watch the video!